The cardiovascular system is a closed system of the heart and blood vessels. The heart is the power organ, and the blood vessels are the conduits that transport blood. Through the rhythmic contraction and relaxation of the heart, the blood is circulated in a certain direction in the blood vessels, which is called blood circulation. 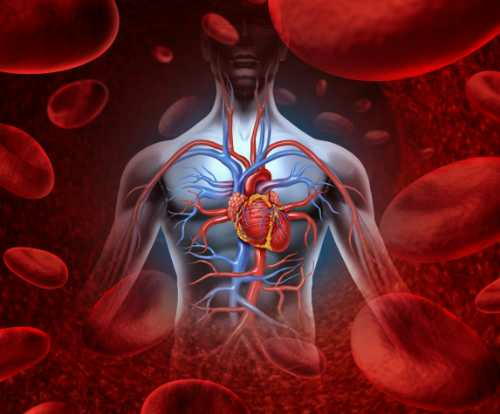 Blood circulation is one of the most important physiological functions of the body's survival. The heart is a hollow muscular organ located in the middle of the chest. It is divided into two chambers by left and right. Each chamber is divided into two parts: the upper atrium and the lower ventricle. The atrium collects blood into the heart, and the ventricles allow blood to be output from the heart. The ventricles are imported and exported with valves to ensure one-way flow of blood. Through this circulatory system, the heart collects hypoxic blood from the body and pumps it into the lungs. After sufficient gas exchange, the heart pumps oxygen-rich blood to the whole body tissues to complete its function. Due to blood circulation, the blood and heart function can be realized, and the blood volume can be adjusted at any time to adapt to the needs of the active organs and tissues, thus ensuring the relative constant environment and normal metabolism of the body. Once the cycle is stopped, life activities cannot be carried out normally and will eventually lead to the death of the body. The disease caused by the system is called cardiovascular disease, and because the disease involves the circulatory system, it is also called circulatory disease. The circulatory system here refers to the organs and tissues that transport blood in the human body, including the heart and blood vessels (arteries, veins, and microvessels). According to the progress of clinical conditions, cardiovascular diseases can be subdivided into acute and chronic, which are generally related to arteriosclerosis. These diseases have similar causes, disease processes and treatments. Hypertension is a disease that persists in high blood pressure and can cause diseases such as stroke, heart disease, hemangioma, and kidney failure. Hypertension is characterized by elevated arterial pressure and can be associated with functional or organic changes, such as the heart, blood vessels, brain, and kidneys. According to different pathogenesis, hypertension is divided into essential hypertension and secondary hypertension. There are many reasons for the onset of hypertension, which can be divided into two aspects: genetic and environmental. Angina is a group of symptoms that are clinical syndromes of myocardial ischemia due to a temporary imbalance between myocardial hypoxia and oxygen supply. Myocardial ischemia may be caused by an increase in the demand for myocardial oxygen over the coronary artery's ability to supply blood, or due to a decrease in coronary blood supply, or both. It is characterized by paroxysmal chest compression pain, which can be accompanied by other symptoms. The pain is mainly located in the posterior part of the sternum and can be radiated to the anterior and left upper limbs. It often occurs during labor or emotional excitement. Acute myocardial infarction (AMI) refers to acute myocardial necrosis due to persistent and severe myocardial ischemia. Clinical manifestations often have persistent sternal pain, acute circulatory dysfunction, arrhythmia, heart failure, fever, white blood cell count and elevated serum myocardial injury marker enzymes, and progressive progression of myocardial acute injury and necrosis. According to the scope of infarction, myocardial infarction can be divided into two types: transmural myocardial infarction and subendocardial myocardial infarction. According to the development of the disease, myocardial infarction can be divided into acute myocardial infarction and old myocardial infarction. Coronary atherosclerotic heart disease is referred to as coronary heart disease, which means that due to abnormal lipid metabolism, lipids in the blood sink on the inner smooth membrane of the arteries, and some atherogenic lipids accumulate in the intima of the arteries and form white plaque, this process called atherosclerotic lesions. The gradual increase of these plaques causes the arterial stenosis to be blocked, causing blood flow to be blocked, leading to cardiac ischemia and angina pectoris. Due to fat metabolism or abnormal operation, one or more lipids in plasma are higher than normally called hyperlipidemia. Lipid insoluble or slightly soluble in water must be combined with protein to exist in the form of lipoprotein. Therefore, hyperlipidemia often is hyperlipoproteinemia, manifested as hypercholesterolemia, hypertriglyceridemia or both. Hyperlipidemia is clinically divided into two categories: primary is a hereditary lipid metabolism disorder and is very rare; secondary is common in controlling poor diabetes, drinking, hypothyroidism, nephrotic syndrome, kidney dialysis, kidney transplantation, biliary obstruction, oral contraceptives, etc. The cardiovascular system is a very complex system that is regulated by a variety of factors. When these regulatory factors are affected and destroyed, it causes cardiovascular system dysfunction, namely cardiovascular disease. By the existing research results, the cause of cardiovascular disease is mainly caused by lipid metabolism disorders and vascular cell dysfunction. Among them, lipid metabolism disorder causes the most common disease of cardiovascular disease, namely atherosclerosis. It can cause vascular stenosis or blood vessel clogging caused by thrombosis, which is an important cause of tissue and organ ischemia. Therefore, atherosclerosis is also the basis of a variety of cardiovascular diseases. Vascular cell dysfunction can be triggered by a variety of factors, such as hormones, inflammation, oxidative stress, and multiple signaling pathway abnormalities. Vascular endothelial cells play an important role in regulating vasoconstriction and vasodilation, coagulation, and arteriosclerosis. When these cells are damaged, the body develops symptoms of high blood pressure, blood clots, and arteriosclerosis. This in turn triggers a more serious cardiovascular disease. In addition, factors such as ion channels, fibrosis of extracellular matrices, and epigenetics play an important role in the development and progression of cardiovascular disease. Sutcliffe P, et al. Aspirin for prophylactic use in the primary prevention of cardiovascular disease and cancer: a systematic review and overview of reviews. Health Technology Assessment. 2013, 17 (43): 1–253. Kathiresan, S; Srivastava. Genetics of human cardiovascular disease. Cell. 2012, 148 (6): 1242–57. Booker C.S., Mann J.I. Trans fatty acids and cardiovascular health: Translation of the evidence base. Nutrition, Metabolism and Cardiovascular Diseases. 2008, 18 (6): 448–456. Bertazzo S., et al. Nano-analytical electron microscopy reveals fundamental insights into human cardiovascular tissue calcification. Nature Materials. 2013, 12: 576–583. Kvan E., Pettersen K.I. et al. High mortality in diabetic patient with acute myocardial infarction: cardiovascular co-morbidities contribute most to the high risk. Int J Cardiol. 2007, 121 (2): 184–188.